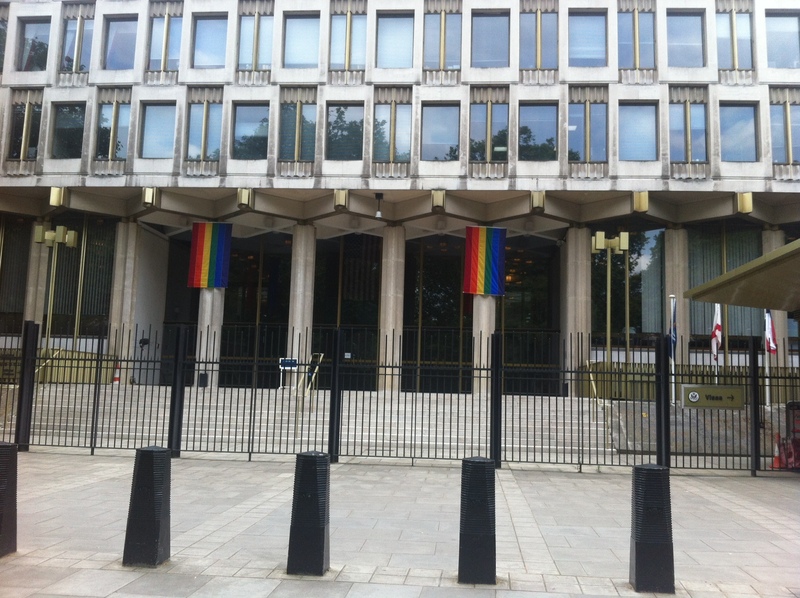 The US Embassy in London recently draped gay rainbow flags over its entry. The American flags were somewhere off to the side. 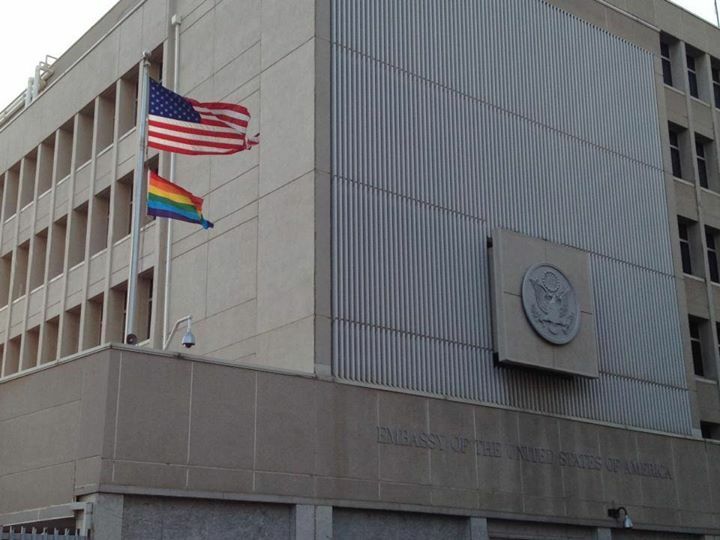 The US Embassy in Tel Aviv also flew the gay flag recently. At least they flew the gay flag beneath the US flag at the Tel Aviv embassy. No word yet from the US embassies in Pakistan and Saudi Arabia.